Land Rover has further strengthened its commitment to international rugby with a world-first sponsorship agreement. 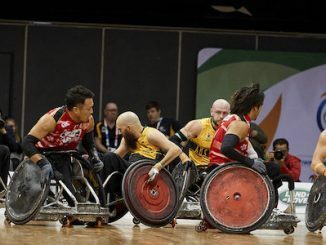 The Rugby World Cup 2019™ Worldwide Partner is now a major sponsor of the Wheelchair Rugby World Championships too – the first time a backer has supported both tournaments. Jaguar Land Rover has strengthened its commitment to the armed forces with the donation of two F-TYPE sports cars to Mission Motorsport. The cars will be used by the charity to support the recovery and rehabilitation of ex-service personnel affected by their time in the military. The donation, championed by the armed forces team at the Castle Bromwich manufacturing plant, was made in the run-up to Armed Forces Day on 30 June. It continues Jaguar Land Rover’s relationship with the forces’ motorsport charity established in 2014 with the creation of its Armed Forces Engagement Programme. Come join us for a car and motorcycle show in remembrance of Steve McQueen and in support of Boys Republic; a school dedicated to troubled teens. The event takes place June 02, 2018. This year’s event is themed from the movie Bullitt and the 50th anniversary of the classic film. In the Spring of 2017, Rolls-Royce Motor Cars unveiled a seminal new concept in luxury, crafted for one very special customer, St Richard’s Hospital Pediatric Day Surgery Unit in the marque’s home town of Chichester, West Sussex. The appropriately-named Rolls-Royce SRH was hand-built to allow children awaiting surgery to drive themselves to the operating theatre, through the Pediatric Unit corridors which are lined with ‘traffic signs’. The experience of ‘self-drive to theatre’ has been proven to reduce child patient stress. Rolls-Royce Motor Cars has today announced its new House Charity for 2018, The Ickle Pickle Partnership. Colleagues at the Home of Rolls-Royce at Goodwood vote for their House Charity every year through a company-wide nomination process and the successful organization is supported through a number of initiatives. This year’s winning charity, The Ickle Pickle Partnership, turns gifts and donations from generous people into specialized equipment such as incubators and ventilators to help Neonatal Units provide the highest levels of intensive care for the smallest and most unwell babies. Ben, the not-for-profit organization that partners with the automotive industry to provide support for life to its people and their family dependents, announces that the Jaguar Land Rover Channel Swim Challenge has raised an impressive £185,000 so far. The £160,000 target has been smashed, yet the total is likely to grow as donations and fundraising events continue. Jeremy Hicks, Managing Director of Jaguar Land Rover UK, swam the English Channel, along with 13 of his colleagues in a two team relay on Thursday 24th August. The two teams set off at 10pm on Thursday and made it to French soil on Friday 25th August at around 2.30pm, resulting in a total time of around 16.5 hours. This was no mean feat as the English Channel is 21 miles wide and one of the busiest shipping lanes in the world. Rolls-Royce Motor Cars was delighted to support Sussex Police at the ever-popular Chichester Police Station Open Day on Saturday. Rolls-Royce displayed a Ghost Black Badge, resplendent with authentic lights and Sussex Police decals. The car is finished in Andalusian White, with the interior in Black and Tan contrast leather and the fascia in Black Badge Technical Fibre. The Rolls-Royce ‘police car’ drew huge crowds, including new Chichester MP, Gillian Keegan, who paid the event a visit. The accompanying team from Rolls‑Royce collected donations for Chestnut Tree House, the children’s hospice for Sussex and one of the company’s previous ‘house’ charities. With the 2017 18-day, 4000-mile ‘Jaguar XK Club Round Britain Coastal Tour, supporting Prostate Cancer UK’ completed, the 100+ classic XKs involved and their crews can now take a rest and reflect on a very successful event. The main aim of this unique event was to raise funds and awareness of this cancer which kills a man in the UK every 45 minutes. The fund-raising target was £50,000 and this has now been exceeded. As part of the company’s ongoing commitment to community and Corporate Social Responsibility (CSR), Aston Martin have formed a new partnership with local Leamington Spa based charity, Helping Hands. 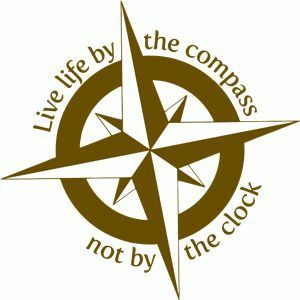 The Charity provides support to vulnerable people in the Warwickshire area, through a number of initiatives including mentoring, support for the homeless and those affected by domestic violence.